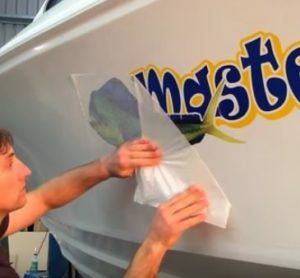 Removing an old name from up to three or five positions on the boat, and then prepping the surface for an installation can mean you’ve polished most of the top sides. Might as well get the rest of the boat done while you’re at it. Wash down first to remove dirt that might scratch when polished. Rubbing compound, waxes and in some cases 400 grit sand paper can make a mess. A final wash down isn’t complete without a little chrome polish! 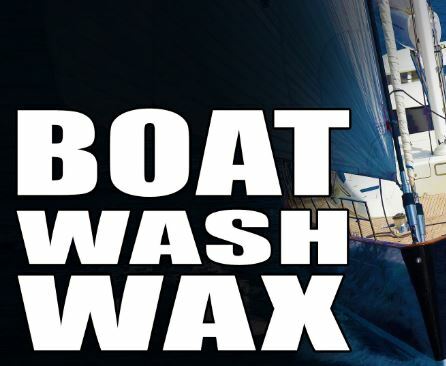 This service is sold in Washington by the foot based on what type of boat, sailboat or power. 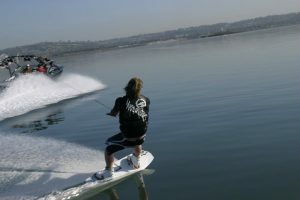 Select your boat type and enter the hull length below for an online quote. 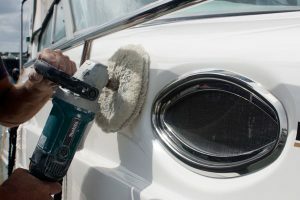 Our detailers are also experienced graphics installers and visa versa. They can remove a name and even discolored areas if there has been sun damage or oxidation behind the old name.